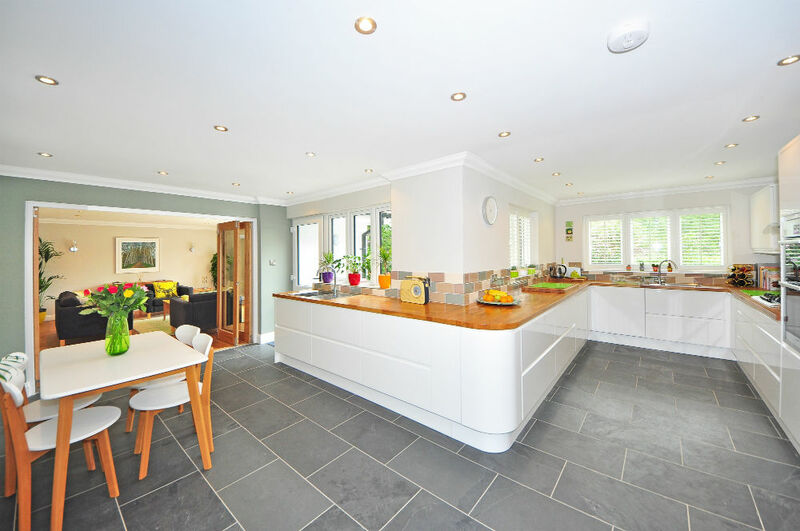 Often referred to as the heart of the home, it’s no wonder kitchen extensions are one of our most commonly received requests. Not only do they open up a much used space, but a kitchen extension is a great way of adding value to any property. Depending on the size of the project, and your location, a typical kitchen extension can cost anywhere between £20K to £50K + VAT. However, the type of extension will impact on the cost. All prices are approximate, and exclude glazing and kitchen fittings, as there are a range of products and price groups to consider. The small but mighty option. To look at, a side return extension isn’t a huge add on to your property, but often generates a lot of new space within your kitchen. Not only that, they can be very reasonable in terms of cost. Side return extensions bring your property out into an alleyway at the side of your home, if one is present. They’re often added onto period properties, especially those dating from the Victorian era. By adding in new sources of light and opening up space, this little extension would take any kitchen to the next level. On average, in London, you can expect to pay £50k + VAT and a lot less in other areas of the UK. If you lack the space needed for a side return, you might consider a rear extension. This will take your kitchen out into your garden, meaning its worth considering how much green space you’re willing to lose during the design stage. Rear extensions are very popular. Not only can they bring in a lot of new space and light, but their design can often be kept simple, making this form of development cost-effective. As with all extensions, prices can vary but on average you can expect to pay on average £30K + VAT in London and £20k + VAT upwards in other areas of the UK. A combination of a side and rear extension, the wrap around gives a dramatic makeover to your kitchen. The extra space provided makes open plan living a dream, as you can easily combine your living, kitchen and entertaining areas with your new addition. Perfect for growing families. Expect to pay £65k + VAT in London and £40k + VAT upwards in other areas of the UK. You can open out your dining space with a conservatory extension. They’re popular not only because they bring in reams of natural light, but often cost less than traditional extensions. They are generally formed off-site, making the whole process more efficient. Conservatories come in all shapes and sizes. Prices start from as little as £10K, but be careful to make sure the glazing specification prevents overheating in the summer and a cold space in the winter. As we’ve touched on, there’s no set price when it comes to extensions. Some properties are able to expand further than others and site constraints play a key part in the overall costs. Plus, you’ll be dealing with many different professionals, all of whom have differing prices to their competitors. As a rule of thumb, you can expect to spend between £1,400 - £1,900 + VAT in London and £1,200 and £1,500 + VAT per square metre elsewhere on any ground floor extension. In return, you could see anywhere between 5% and 10% more value added to your home. Because of this, many see a kitchen extension as an investment. To see how much value an extension could add onto your home, try our free valuation tool.